Hall of Fame jockey Victor Espinoza sustained a broken neck on Sunday when Bobby Abu Dhabi, the four-year-old colt he was riding, had a fatal heart attack during a training run. The incident occurred at the Del Mar Thoroughbred Racetrack in Del Mar, California. Espinoza, 46, lay motionless on the track for some time until paramedics arrived. They then stabilized his head and neck and transported him to Scripps Memorial Hospital in La Jolla. Espinoza broke the C3 vertebra in his neck and was experiencing numbness in his left shoulder and arm. However, he could move all of his lower extremities, and he suffered no other fractures in the fall. Sadly, the same can not be said for Bobby Abu Dhabi. The four-year-old colt finished third at the Belmont Stakes and was training for the upcoming Bing Crosby Stakes. Brian Trump, his co-owner, confirmed the horse had died via Twitter. Victor Espinoza has won the Kentucky Derby and Preaknesss three times each. 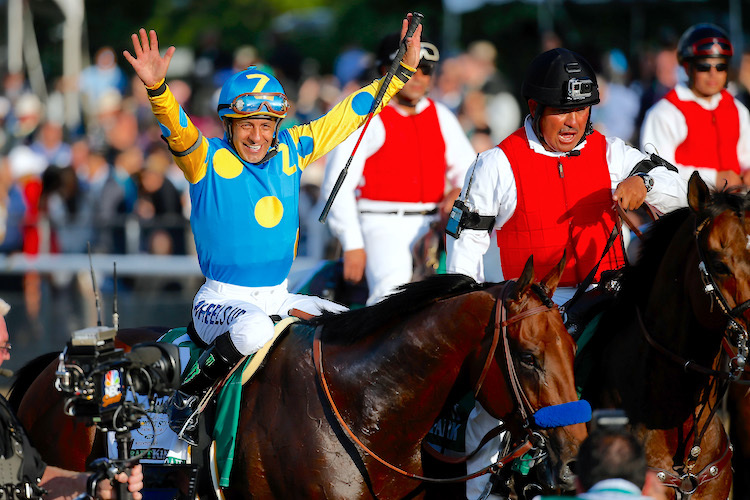 In 2015, on American Pharoh, he became the first jockey in 37 years to win horse racing’s Triple Crown.